From a fighting perspective smothering is the idea of furiously attacking the opponent so that they are unable to fight back because they are completely overwhelmed. 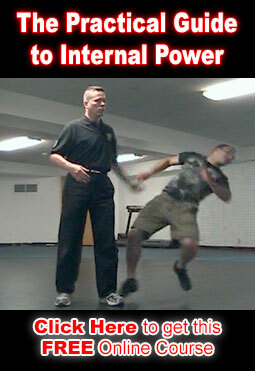 One of the basic things necessary in order to smother effectively is to attack the opponent with your entire body against their entire body using your body weight to overwhelm their limbs and positioning. You overwhelm their entire position starting with their limbs but continuing into and through their body so that they feel like they can not do anything due to the lack of space and that they have to make space and get their arms free from being pushed into their body in order to do anything to you. Of course you continue forward and into them so that they feel like they never have enough space to work. As they continue to try to get space you continually force your way into all available space between you and them. So, to do anything they feel like they have to continually withdraw. You continually advance so that they feel like they can never get enough space to work. How to be right next to the person while continually working your way into and through their position even as they withdraw and retreat. Learning how to enter against various positions and stances so that smothering of the opponents position begins as soon as you make contact with them. Learning how to move in and shut down whatever response the opponent may have to your initial entering and continual advance into their position. You will really want to learn how to do all three of these skills as one continuous motion that happens so fast that the opponent simply can not respond before they are completely overwhelmed.